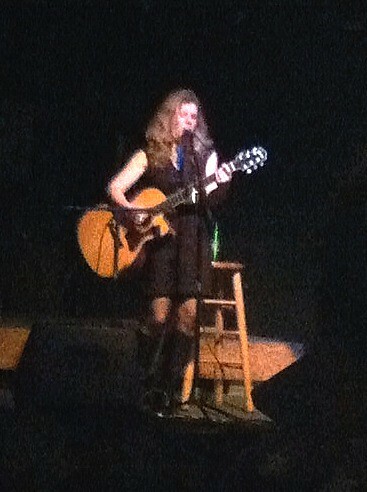 Dar Williams’ new CD, Promised Land, was released this week. I just downloaded it and haven’t listened to all the tracks, so can’t provide a complete review, but I did do a double take when I started processing the words of the song “Buzzer.” I haven’t digested all the lyrics yet, but what made me chuckle–because only Dar Williams would do this–is that the song is about Stanley Milgram’s obedience experiments. In the early 1960s at Yale University, Milgram conducted a series of experiments to gauge participants’ obedience to authority. Recruits from the community (all men in the first round of experiments) came to the lab thinking they were going to be participating in a study on learning. An unwitting subject and an actor were paired in each session. First on the agenda was assignment to roles by a fixed (though random to the subject) draw. The subject always was assigned the teacher role and the actor the learner role. Once roles were assigned, the learner went into a room where he was thought to be hooked up to an electric shock machine. The teacher, our subject, was placed at the controls where a simulated voltage meter ranged from 15 v (labeled: slight shock) to 450 v (labled: Danger! Severe Shock). The teacher was told to teach the learner a list of words and to shock the learner whenever he failed to correctly learn. For each mistake, the voltage was increased. Of course, the confederate was never really shocked, but he did scream in pain, and his pleas were more desperate as the teacher gave more powerful shocks. When the teacher would turn to the experimenter, in a white lab coat, and inquire about the learner, the experimenter would say things like The experiment must continue, Please go on, or, The experiment must go on. In most cases, the teacher submitted and continued to shock the learner. Of the 40 participants, no one stopped before he reached 300 v. Fourteen of the 40 refused to administer shocks at various points past 300 v. That means 65% of the participants (or 26) went all the way to 450 v. These results were surprising to the research team–they fully expected subjects to disobey at some point in the experiment. What does this mean for us? Despite the fact we want to be heroes, we are, statistically speaking, much more likely to obey authority and follow the crowd. The power of the situation can be overpowering, and thoughful reflection and deliberate action are neccessary to live our best values. Reference: Milgram, S. “Behavioral Study of Obedience” Reprinted in Violence in War and Peace. pp. 145-149. The Green World remains my favorite Dar Williams’ album, and this song always wrenches my heart.